Screeching tyres, the smell of burning rubber, the rush of adrenaline and enemies that are left in the dust – these are the sensations that drive real racers. However, there is much more than this in the world of Monochrome Racing – there is the passion for colour! Colour is everything here, it is what you strive for, in a world where everything is in black and white. 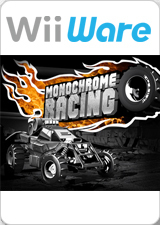 Colour is your fuel, colour gives you speed, colour makes you stronger and ultimately makes you the true leader of the monochrome racing world. The graph below charts the compatibility with Monochrome Racing since Dolphin's 2.0 release, listing revisions only where a compatibility change occurred. This page was last edited on 21 January 2018, at 03:21.